Marvel Studios released a trailer for their upcoming superhero movie, Black Panther. I've been waiting for this release since I saw Chadwick Boseman bring "Black Panther" T'Challa to live action in Captain American: Civil War. Check out the teaser below. Black Panther is in theatres, February 16, 2018. 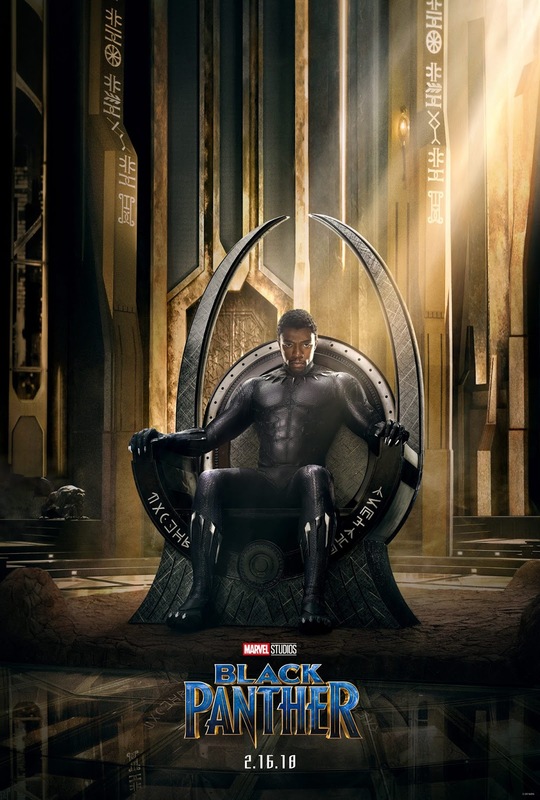 Marvel Studios' "Black Panther" follows T'Challa who, after the death of his father, the King of Wakanda, returns home to the isolated, technologically advanced African nation to succeed to the throne and take his rightful place as king. But when a powerful old enemy reappears, T'Challa's mettle as king-and Black Panther-is tested when he is drawn into a formidable conflict that puts the fate of Wakanda and the entire world at risk. Faced with treachery and danger, the young king must rally his allies and release the full power of Black Panther to defeat his foes and secure the safety of his people and their way of life.